Switzerland businessmen are one of the most punctual people. It is expected that you arrive at the business meeting at precisely the appointment time, not too late nor early. Lake Geneva has had more than 40 ship wrecks and the ships can still be seen underwater. How many directors are required for starting a business in Switzerland? Only 1 director is required when registering a company in Switzerland. How many shareholders are required for registering a company in Switzerland? Only 1 shareholder is required for business registration in Switzerland. Is it mandatory to have a resident director or shareholder for Company Registration in Switzerland? Both Switzerland LLC and AG must appoint a resident director. However, only an AG is mandated to have a majority of its shareholders as Swiss residents. As company registration agents, Healy Consultants will provide our Clients with this nominee director or shareholder service for €8,500 per annum. Will details of my business registration in Switzerland be available for public viewing? Yes, in order to start a Switzerland company, an entrepreneur must enter the business details in the public register. Is a Switzerland registered company a secure, long-term investment? Yes. Switzerland is amongst the most developed countries in the world. Furthermore, the country closely adheres to free market policies like low taxation and high labor market flexibility. Are there any ownership restrictions on foreigners who register a Swiss company? No. 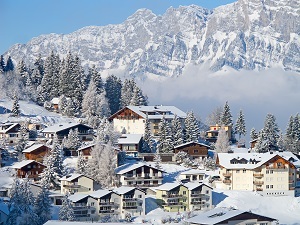 100% foreign ownership is allowed if you wish to setup your business in Switzerland. Do I need local shareholders for Switzerland business setup? No. Our Clients can setup a business in Switzerland that is fully foreign owned. A Swiss LLC can be setup with only 1 shareholder and 1 director. The director however, must be resident in Switzerland. Will I have to travel to start a Switzerland business? No. Healy Consultants can provide Switzerland business setup services without our Client having to travel to Switzerland.